Plate is a carrier that can deliver unlimited possibilities. It can record what we want to say, what we see and what we feel. 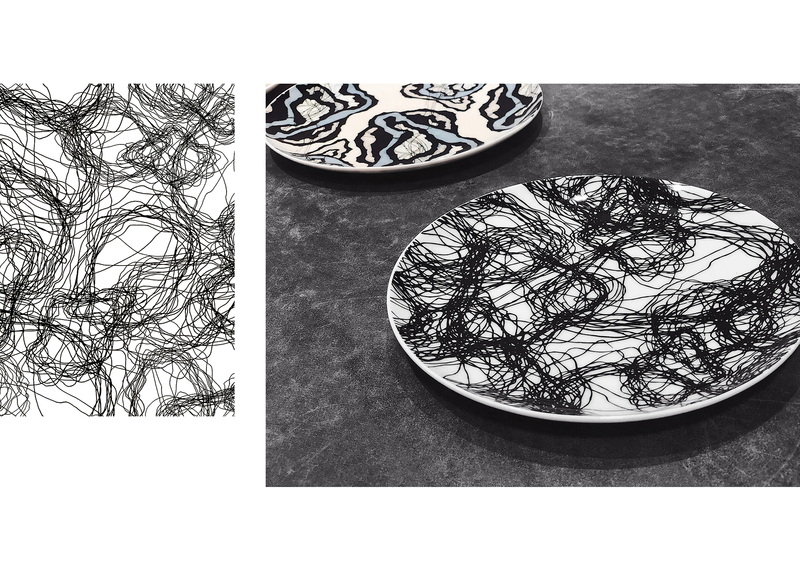 A textile and pattern designer who loves traveling and record my life with a paintbrush. Plate is a good carrier for transferring. 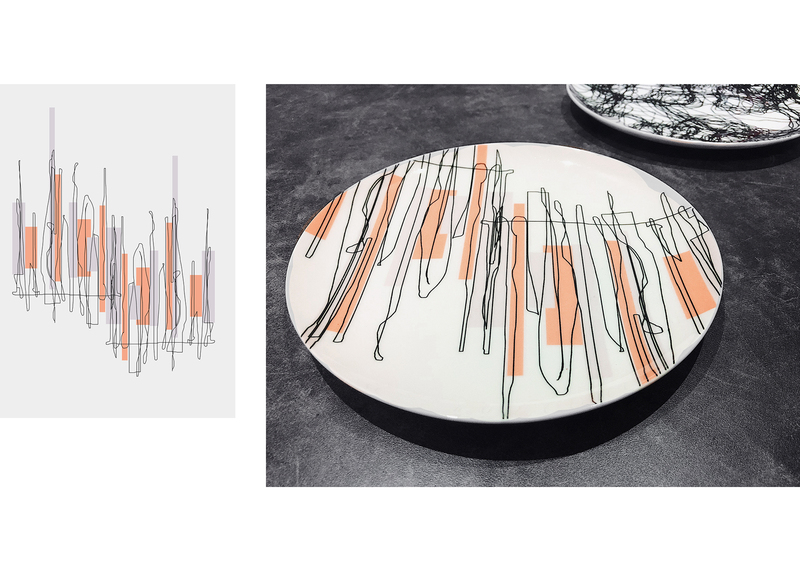 I developed some patterns and printed them on a plate to achieve the perfect combination of beauty and functionality. Before I started design this collection, I spent my Christmas vacation in Cuba with my friends. I was savoured by the local customs where the mottled walls and colourful houses and ‘disorganized’ streets were deeply shocked. Throughout the trip I drew many pictures to record what I saw with my reflection. Cuba is restricted by internet due to the government control policy, we need to explore the Havana city by using the offline maps every day. The road structure is also a scene that impresses me, I named UNKNOWN for this series of works. The process of designing itself is an unknown. Even if we do a lot of planning in advance, we still encounter many unknown problems in the process. I enjoy the whole process and hope to share it with you. Nothing is better than the chaotic line to express UNKNOWN. The head pattern is inspired by a sculpture that was seen in Portugal. I quickly recorded it with very casual lines and converted it to a pattern. 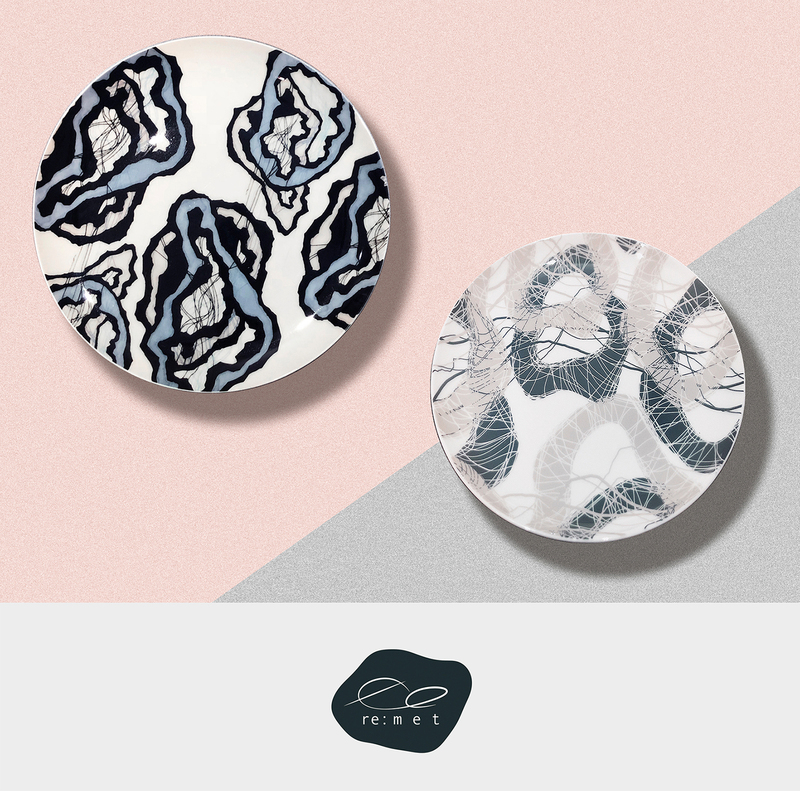 One plate with any pattern from this collection you like. 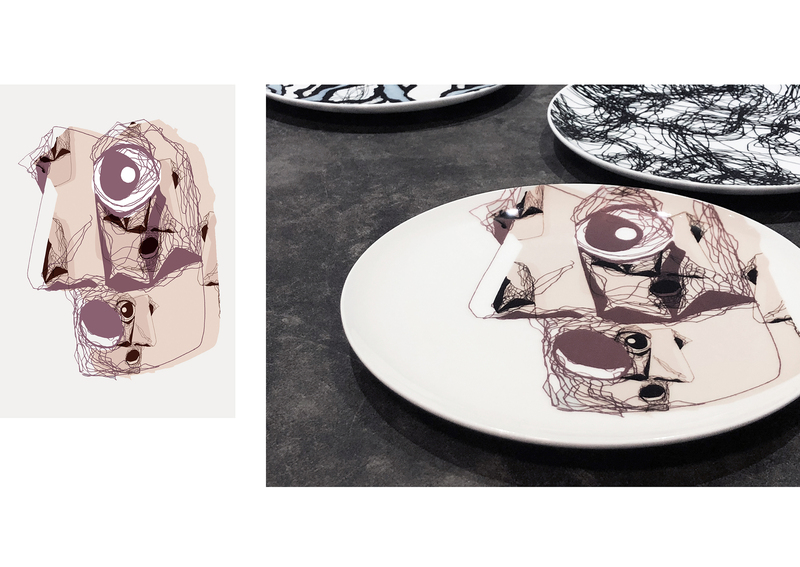 A hand-painted graphic print bone china plate (9 inches) with FREE shipping to your address in UK. Food safe, microwave safe, dishwasher safe. 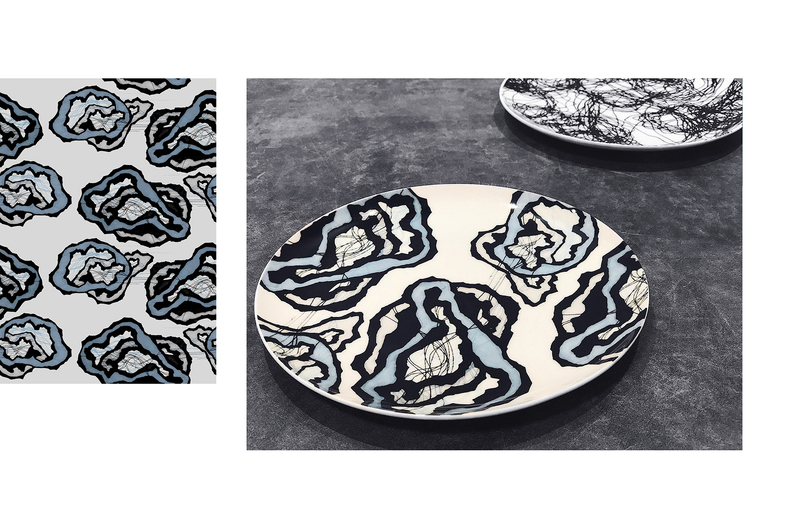 Two plate with any pattern from this collection you like. 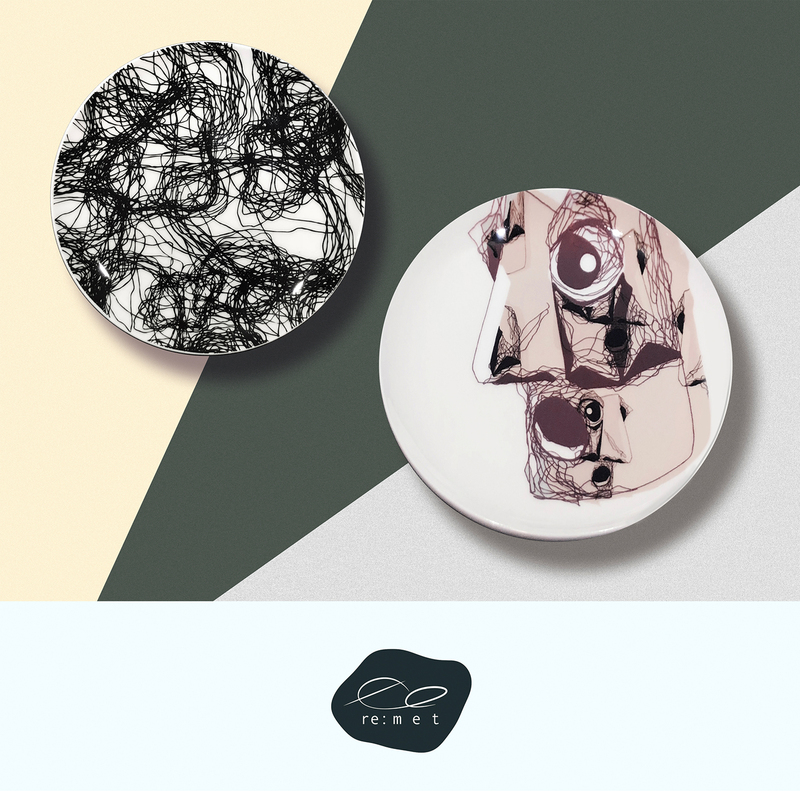 A hand-painted graphic print bone china plate (9 inches) with FREE shipping to your address in UK. Food safe, microwave safe, dishwasher safe. 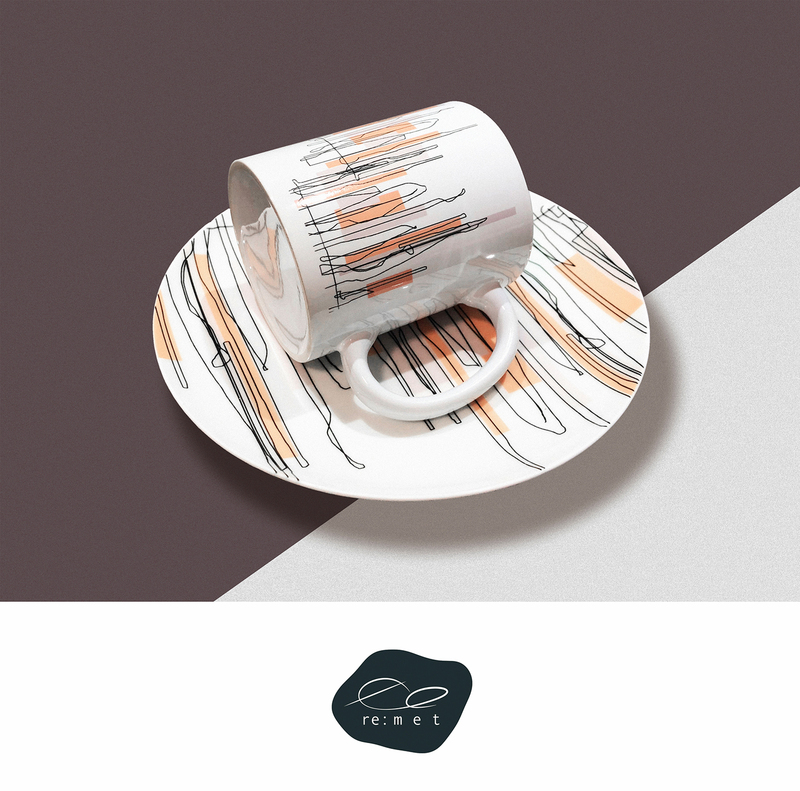 Five plate with any pattern from this collection you like. 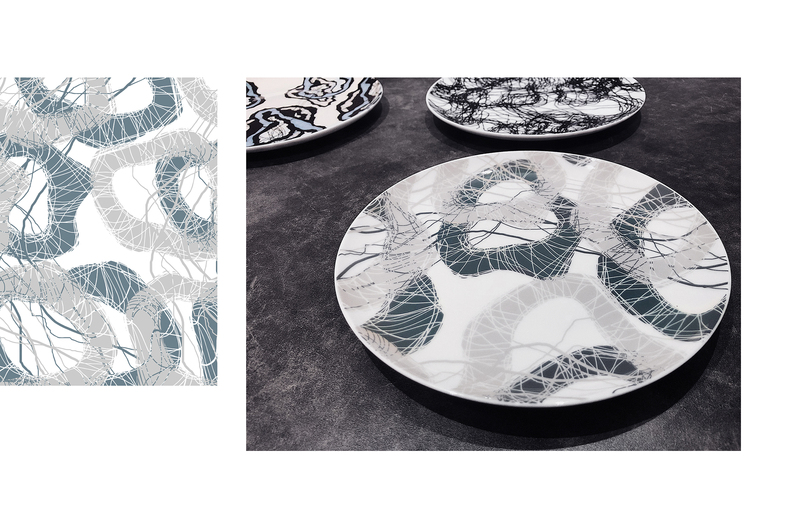 A hand-painted graphic print bone china plate (9 inches). Food safe, microwave safe, dishwasher safe.